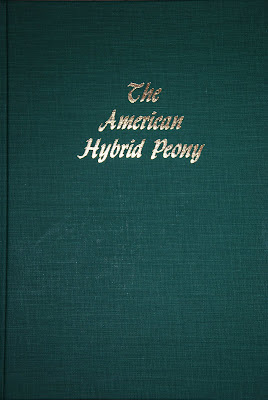 I got one new book at the 2012 American Peony Society convention this year. It was a book recommended by Don Hollingsworth in his Peony Breeders session. It's called 'The American Hybrid Peony', and it was published by the American Peony Society in 1990. I have already started reading it, and just by reading the first few pages, I can already tell that the book is geared toward peony growers in cooler climates / USDA growing zones than mine. 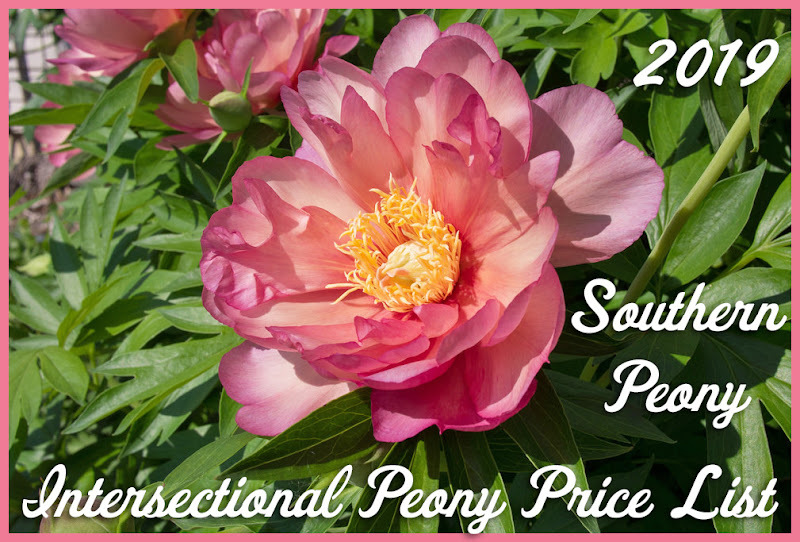 It tells you to plant your peony at least 1-2 inches below the soil. However I always plant mine even with the soil in my zone 7b garden. Perhaps in the next version they can include information for warmer growing climates. However I'm sure the information contained therein will still be valuable just to absorb years and perhaps decades of experience with peonies. 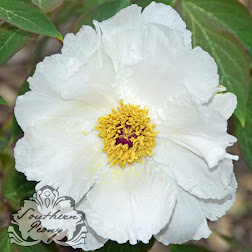 The book also has loads of color photos of herbaceous hybrid peonies and species peonies. 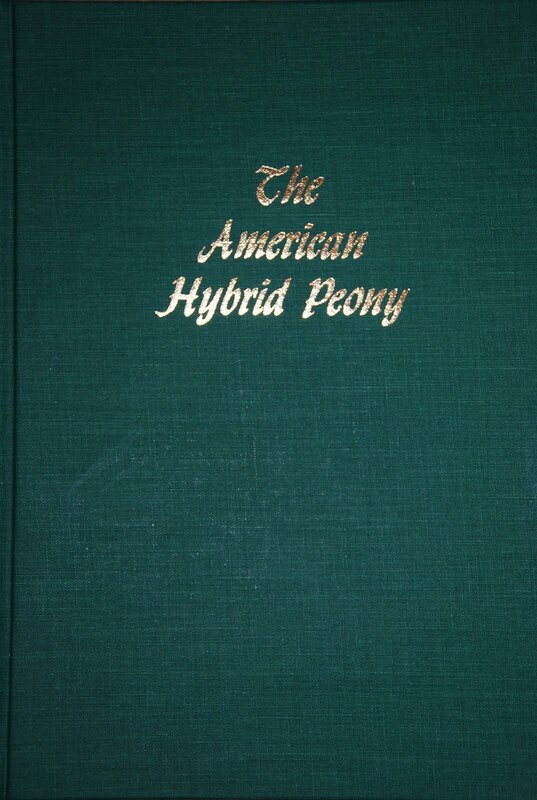 If you want to get your own copy of the lovely green hardback book entitled 'The American Hybrid Peony', you can purchase your book online from the APS Publications Page or through the APS Editor (and new publications director) Claudia Schroer.